As a child, I can remember the excited feeling I got whenever my mum said that we could pop into the toy store whilst we were out. Now that I am a parent, I watch the children’s faces light up as I mention that we have time to pop into Smyths Toys on the way home from wherever we have been. The sparkle appears in their eyes and chattering starts between them on our drive over there. Planning on what to look at first, guessing to see if they have any Skylanders on offer or whether they have new sets of LEGO available. 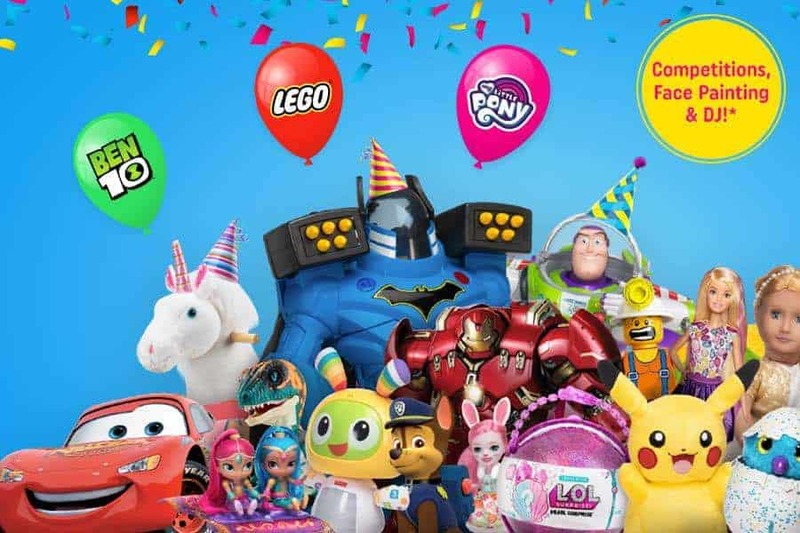 Children across the UK and Northern Ireland are invited to visit their local Smyths Toys Superstores on Saturday May 26th from 9am – 2pm for a FREE party! What’s happening at the Smyths Toys Superstore Party? Pop along to collect your FREE goody bag bursting with some of their favourite toys including Ben 10 Cards, LEGO and My Little Pony Blind Bags*. Ponder about what design to have on your face from the FREE face painting**. Selected stores will also have character appearances. Plus chances to win a £50 Smyths Toys gift voucher to spend in-store on the hour every hour! * While stocks last, strictly one per child. No purchase necessary. First come first served, a queuing system in operation. Whilst you’re enjoying all the fun of the party, it will be a great opportunity to check out all the latest toy and game arrivals in store. Start making those birthdays and (dare I say it…) Christmas lists! The children have been saving up to buy a football goal for the garden, which we are going to pop the extra they need to it. I can’t wait to see their faces on Saturday morning when we tell them we can buy it! My son loves a visit to Smyths Toys too – he will happily wander around for an hour checking everything out. Sounds like we should pop in this Saturday. This sounds really exciting! We don’t have a Smyths near me though!